The U.S. information technology sector lost 403,300 jobs between March 2001 and this past April, and the market for tech workers remains bleak, according to a new report. Perhaps more surprising, just over half of those jobs — 206,300 — were lost after experts declared the recession over in November 2001, say the researchers from the University of Illinois-Chicago. In all, the researchers said, the job market for high-tech workers shrank by 18.8 percent, to 1,743,500 over the period studied. Researchers Snigdha Srivastava and Nik Theodore compiled the numbers using the Current Employment Statistics survey and the Current Population Survey. The report, funded by the Ford Foundation, was conducted for the Washington Alliance of Technology Workers, a Seattle organization that wants to unionize workers at Microsoft Corp. and other technology companies. Theodore, director of the university's Center for Urban Economic Development, said one factor in the staggering high-tech job losses is the familiar lament that businesses have been wary to hire because of uncertainty over how much the economy is improving. But he also attributes some of the job losses to corporations farming high-tech jobs out to overseas companies whose labor is cheaper. Theodore said the study shows that high-tech workers "are really bearing the brunt of economic restructuring strategies." 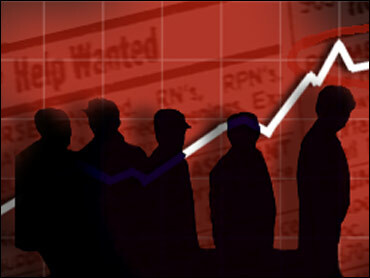 It also shows that the end of the recession did not signal the end of high-tech job woes, he said. "Not only has it not turned around, in many cases it has gotten worse," said Theodore. However, Sung Won Sohn, chief economist at Wells Fargo Bank, says he has seen some evidence that the high-tech job market began improving in the months after this study was completed. Overall, Sohn thinks the industry will rebound — although the new jobs created might require different skills. That still leaves high-tech workers in better shape than other industries, he said. "I view the setbacks in tech as temporary," he said, "whereas if you're talking about old-style manufacturing, those jobs are gone forever." Marcus Courtney, head of the Washington Alliance of Technology Workers, said the tight job market, combined with growing fears that existing jobs will be lost to outsourcing, has increased interest in unionizing workers at companies including Sun Microsystems, Apple and Microsoft. "We are really starting to see the beginnings of a high-tech labor movement in this country," he said. According to the study, the job losses were especially pronounced in San Francisco, which saw high-tech employment shrink by 49 percent between March 2001 and April 2004. Boston also suffered disproportionately, with the number of high-tech jobs falling by 34.1 percent. The Seattle metropolitan area lost 10.8 percent of its high-tech jobs during the period, faring better than some other regions. The employment picture has become a hot-button issue in the U.S. presidential race. Though the overall U.S. economy added 144,000 jobs in August, it still has lost 913,000 positions since President Bush took office. When the August jobs numbers were released earlier this month, Mr. Bush said the figures offered proof that the economy was getting stronger. But Sen. John Kerry's campaign argued that job growth should be faster.